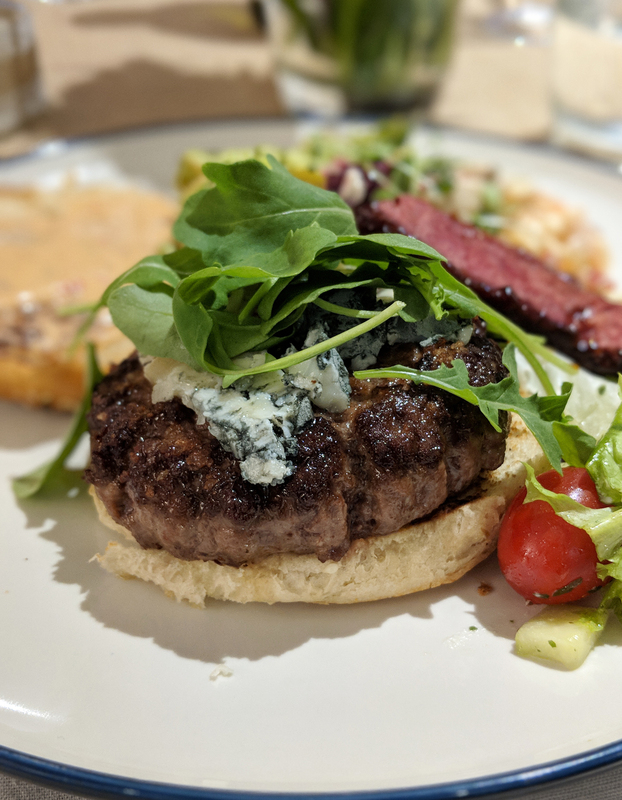 Recently I had the pleasure of joining Marks & Spencer for a cookery class, rustling up a delicious beef burger and steak salad at Atelier des Chefs in Marylebone. 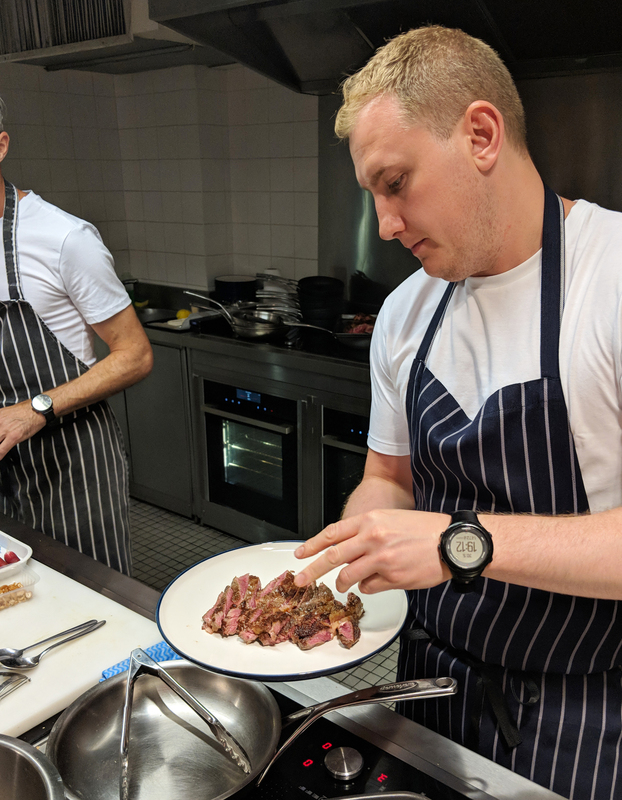 Not only did we get to help prepare cook and prepare wonderful dishes with M&S ingredients, we were also able to hear from M&S head chefs and their Marks and Spencer beef suppliers. We learned about salt ageing processes, Marks & Spencer’s Best Ever Burger and how they can trace their beef back to not only the farm, but the cow it came from. Following lots of cooking, catching up and Q&As, we all sat down together to eat the delicious food we’d made. 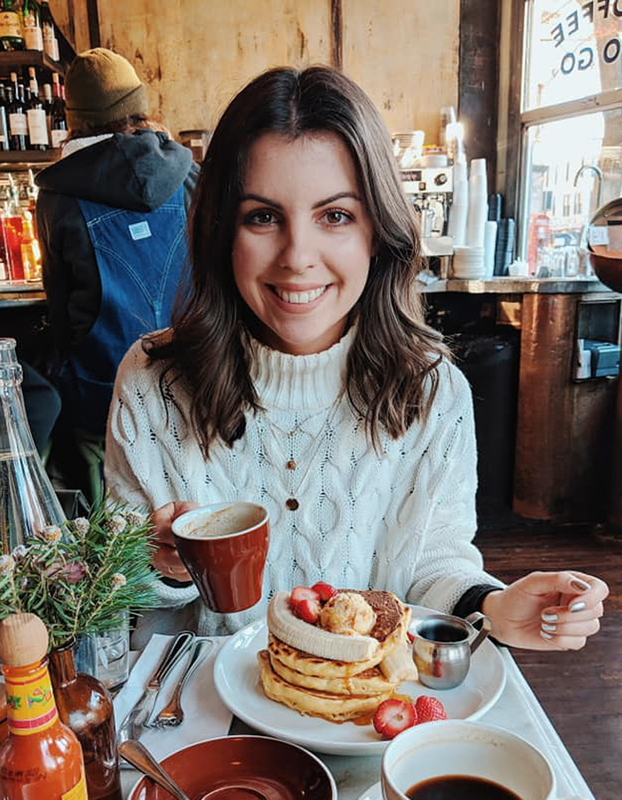 An evening of brilliant food and even better company. I love partnering with M&S, not least for their food and flowers, but for the great people they have working behind the scenes. They always put on a fab event! 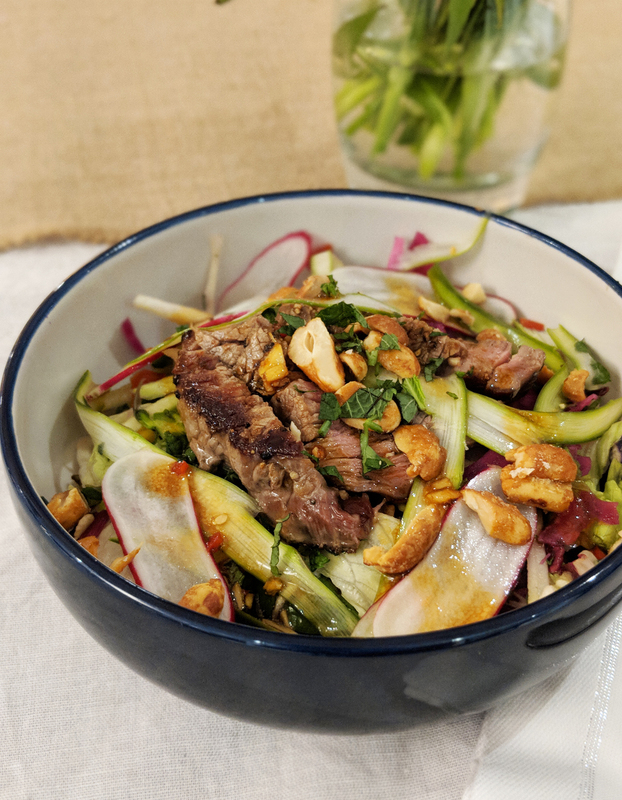 The dish I most enjoyed on the evening was a beef salad we created using the finest beef steak and raw salad ingredients from M&S Food. 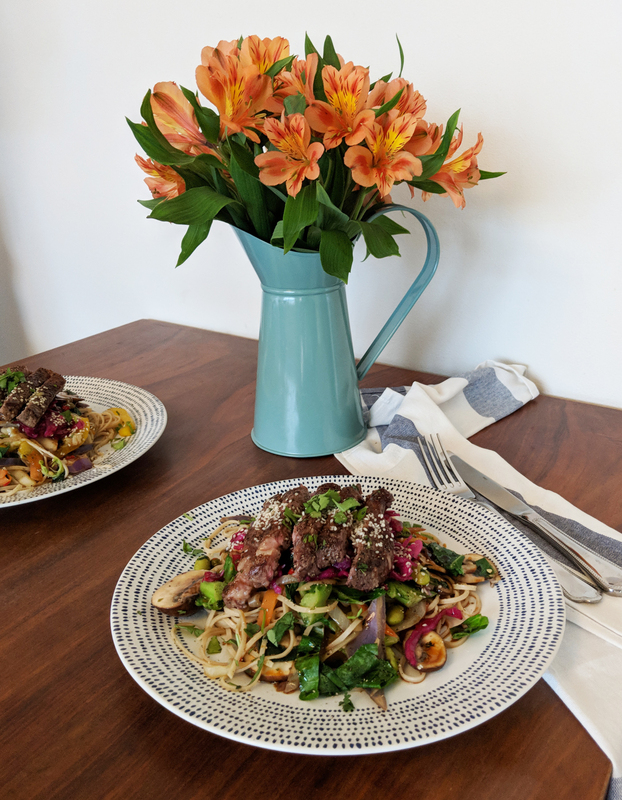 I wanted to recreate this for myself and Stew, but decided to make a couple of alterations, taking it from a lunch time treat to a fulfilling dinner. 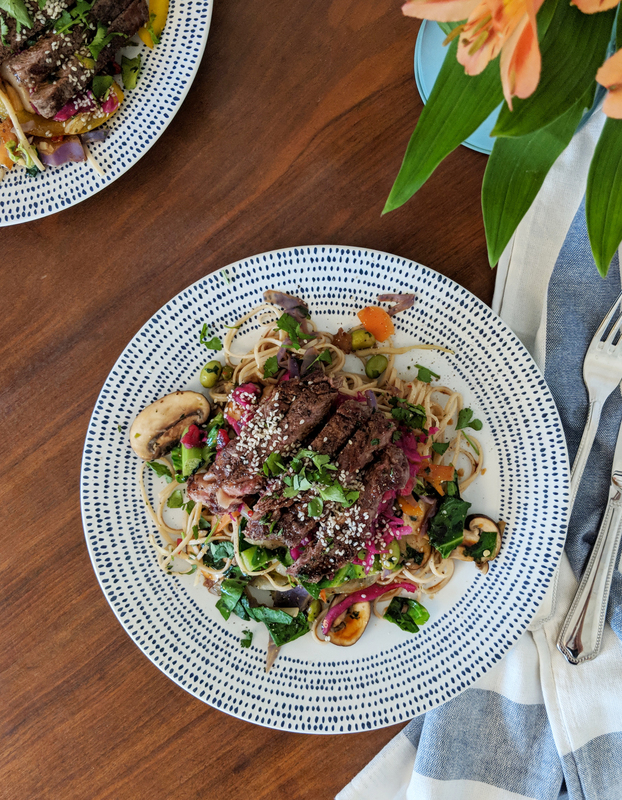 The secret ingredient in the recipe is a pickled red cabbage slaw from M&S, which really makes the dish pop! Season your steak with salt and pepper on both sides. Place a frying pan on medium heat with a drop of oil, and add your steak. Cook on both sides for 3 minutes each. Heat a wok with on a medium heat with a drop of oil. Once hot, add the chilli, garlic, mushrooms and veg mix. Stir fry until cooked. Add your noodles to a pan of boiling water and cook following packet instructions. Remove the steak from the pan and rest to one side. Mix the oyster sauce, sesame oil and dark soy sauce together and keep to one side. Drain the noodles and add to the wok. Mix together well and serve on plates. 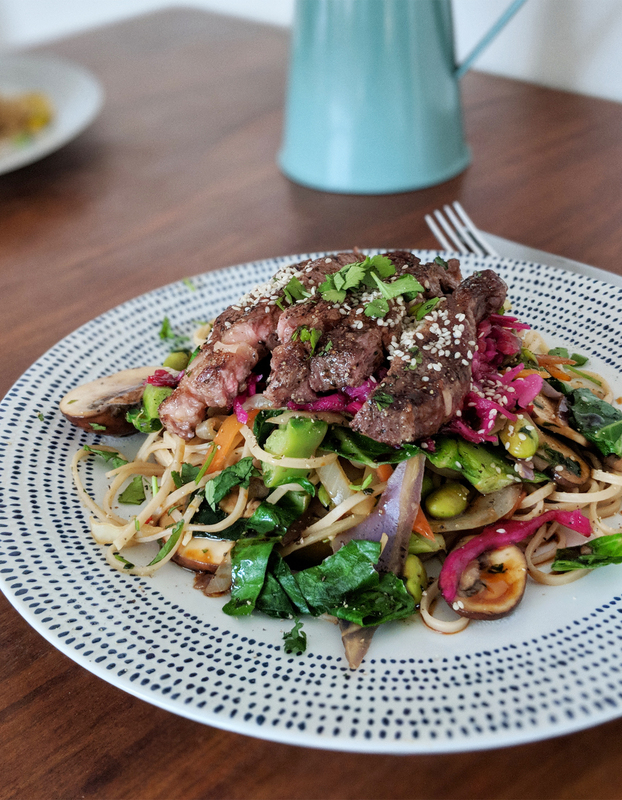 Slice the steak and place on top of your noodle mix. Season with the sauce, coriander and sesame seeds.